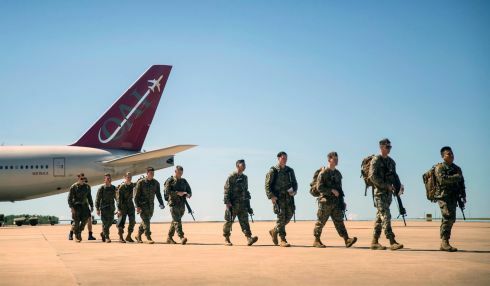 Aircraft deploying to Australia’s Northern Territory include 10 MV-22 Osprey tiltrotors, four AH-1Z Vipers and three UH-1Y Venom helicopters, a Marine spokesman said. Aircraft deploying for the rotation include 10 MV-22 Osprey tiltrotors, four AH-1Z Vipers and three UH-1Y Venom helicopters, Marine spokesman 1st Lt. Colin Kennard said in an email. The aircraft represent “the most capable Aviation Combat Element” sent to Darwin since the rotational deployments began in 2011, he said. “These aircraft increase the training value for MRF-D activities and increase our ability to respond to contingencies within the Indo-Pacific region,” he said. To facilitate operations for the U.S.A. helicopters, temporary airfield matting has been installed at RAAF base Darwin. As Alice Springs hosts a military base that is intimately involved in remote warfare, Pine Gap, residents here have more than the usual stake in a debate unfolding far beyond our horizons – whether to ban or how to control Lethal Autonomous Weapons Systems, as the United Nations has dubbed them, or “killer robots” in popular parlance. These are close to becoming a reality. The design capabilities being developed for driverless cars and AI-driven cameras are also being used for developing killer machines. An Australian Airforce conference last year heard about nano-explosives with 10 times the force of conventional explosives that can be mounted as warheads on small drones. These drones can be manufactured in a 3D-printing process – tens of thousands a day with only 100 printers is already possible. 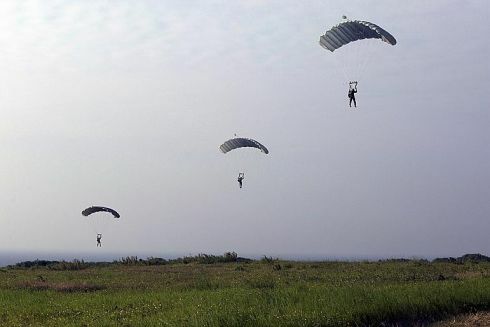 The US and Chinese militaries are already working on launching large numbers in minutes, the conference was told. The decision, in the conflict zone, of what to hit and what to avoid will have been programmed in at the design stage. Deployment and targeting will still be human-directed. It is the targeting function that makes the Joint Defence Facility Pine Gap relevant, as it is already, and has for a long time been, a key provider of targeting data to piloted and remotely piloted (no-one on board) weaponised airforce assets. As such, JDFPG is part of Australian and US weapons systems and is controversially involved in drone strikes in countries with which Australia is not at war. “Machines with the power and discretion to take lives without human involvement are politically unacceptable, morally repugnant and should be prohibited by international law,” - Secretary-General of the United Nations, António Guterres. An endangered dugong found dead here is believed to be one of only three that had been confirmed in waters around the northern part of this southern island. 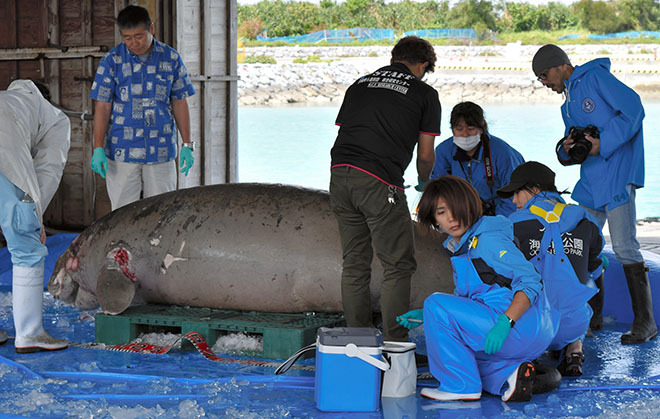 The bureau is monitoring the mammals, designated by the central government as a protected species, whose habitat could be affected by land reclamation work for the relocation of U.S. Marine Corps Air Station Futenma in Ginowan to the Henoko district of Nago, both in Okinawa Prefecture. Okinawa is said to be the northernmost limit of the habitat of dugongs. Environmentalists have argued that the relocation project would destroy their critical habitat and called for a halt to the land reclamation work.